Virtually everyone agrees this passage describes the triumphal return of Christ. But as Aune notes, the imagery used is not derived from other early Christian traditions concerning the return of the Lord (Revelation, 3:1046). The various descriptions in this paragraph of the return of Jesus as conquering king are drawn from a wide variety of Second Temple literature. In fact, this Rider is the culmination Jewish expectations for a restoration of the kingdom. The Rider is described in somewhat familiar terms to those who read apocalyptic literature. His eyes are like a fiery flame (v 12). Eyes like flaming torches are associated with heavenly beings, as in Dan 10:6 (Theodotian LXX). 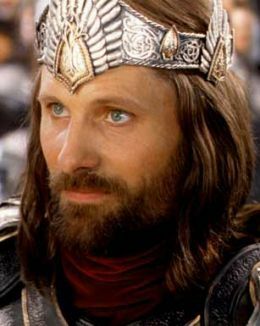 He has many crowns (diadems) on his head (12). In the Greco Roman world, multiple crowns is an indication of sovereignty over territories. Just as the dragon had seven crowns and the kings to come had crowns, so the rider has “many” crowns, perhaps so many that they are not counted. He wears a robe dipped in blood (13). Normally blood is associated with the atonement, but this is not the case here. The blood is that of the enemies of God, and is likely an allusion to Is 63:1-3. Finally, a sharp sword comes out of his mouth (15a). This is a reference to the power of his word (Rev 1:16; 2:12, 16; 19:15, 21). 4QIsaiah Peshera 8-10 iii 15-19 (tr. García Martínez, Dead Sea Scrolls, 186): [He will destroy the land with the rod of his mouth and with the breath of his lips he will execute the evil] ? [The interpretation of the word concerns the shoot] of David which will sprout [in the final days, since with the breath of his lips he will execute] his enemies. The Rider has come in order to judge in righteousness (11b). That the messiah will be God’s righteous judge is a theme of several texts in the Hebrew Bible (Ps 98, 72:2, 96:13, Isa 11:4). He will wage war in righteousness (11b) and smites the nations with the sharp sword (15a). He will rule the nations with a rod of iron (15b). That the Messiah will be something of a true shepherd is common in the Hebrew Bible (Ps 2:9) as well as Psalms of Solomon 17:21-25. Psalms of Solomon 17:21-25 See, Lord, and raise up for them their king, the son of David, to rule over your servant Israel in the time known to you, O God. Undergird him with the strength to destroy the unrighteous rulers, to purge Jerusalem from gentiles who trample her to destruction; in wisdom and in righteousness to drive out the sinners from the inheritance; to smash the arrogance of sinners like a potter’s jar; To shatter all their substance with an iron rod; to destroy the unlawful nations with the word of his mouth; At his warning the nations will flee from his presence; and he will condemn sinners by the thoughts of their hearts. John describes this judgment as treading “the wine press of the fury of the wrath of God the Almighty.” This is yet another familiar metaphor for the anger of God in Revelation and the est of the prophets. John has already used this metaphor in Rev 14:19. The Rider on the White horse therefore represents the culmination Jewish expectations for a restoration of the kingdom. God intervenes in history by means of a mighty warrior who renders justice. He will punish the enemies of Israel, destroying them utterly. But he will also vindicate those who have suffered on behalf of their testimony for Jesus: they are raised to new life in Rev 20.